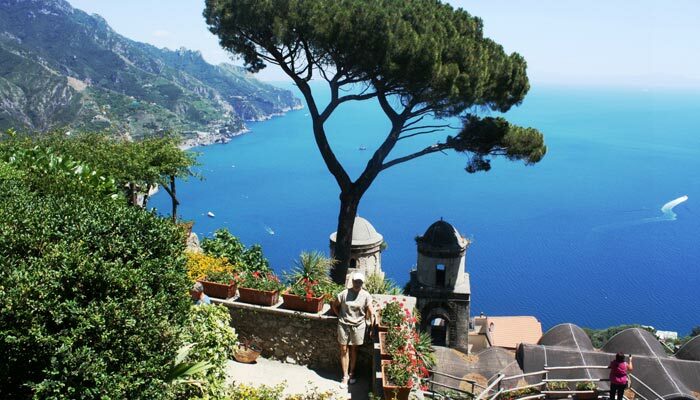 Located on a hill, the medieval town of Ravello, in the upper part of the Amalfi Coast, preserves its beautiful medieval building and monuments the medieval town preserves its beautiful medieval building and monuments. Ravello is a natural terrace lying on the rock and overlooking the Gulf of Salerno, not far away from Amalfi, Maiori and Minori. Surrounded by lush vegetation is one of the most peaceful, charming and chic villages of the Amalfi Coast, described by several travellers as the ‘Home of Spirit’. Landolfo Rufolo, the main character of a Decameron’s novel written by Giovanni Boccaccio, was born here. The town is easy to reach by car or by bus from the Hotel Torre Saracena. This renowned historic building was built in the XIII Century at the instance of the Rufolo family. In arabic-sicilian style, it rises up on the cathedral’s square. 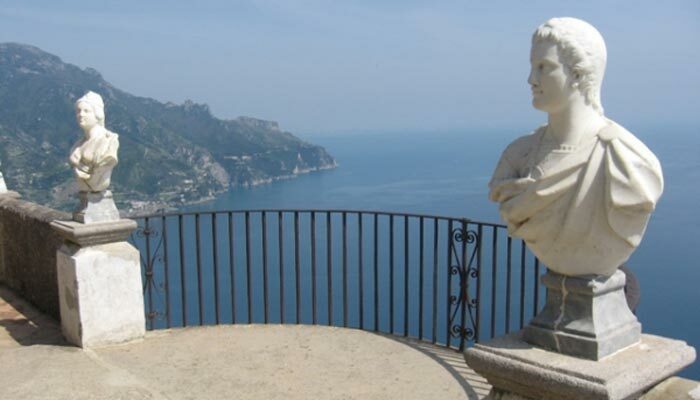 Falling sheer into the Amalfi Coast and Gulf of Salerno panorama, the terraces of Villa Rufolo inspired the musician Richard Wagner composing the second act of his noted Parsifal. The Ravello Festival, yearly celebrated in summer, is dedicated to this musician. 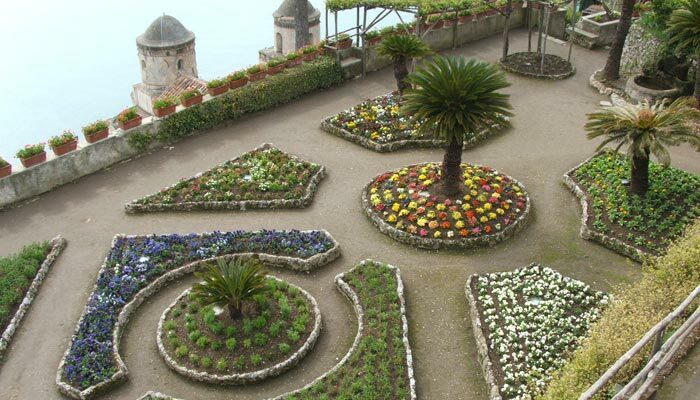 In the 1880 the musician Richard Wagner stay in Ravello while he was working on of Parsifal: the gardens of Villa Rufolo inspired it for the magic garden of Klingsor. In pseudo-medieval style, Villa Cimbrone is often defined the extraordinary work of an English Lord, William Beckett, who, helped by a tailor, transformed an old property in a polymorphous construction, halfway between the ancient and the exotic, source of inspiration for poets and writers. Become famous due to a sequence of the film ‘Sissi’, this villa has a wonderful garden full of statues, fountains and naturals caves, a wonderful viewpoint suspended above the sea..
the bell-tower of the 13th century. Also a novel of Boccaccio deal about Ravello. the Ferriere Valley Nature Reserve. 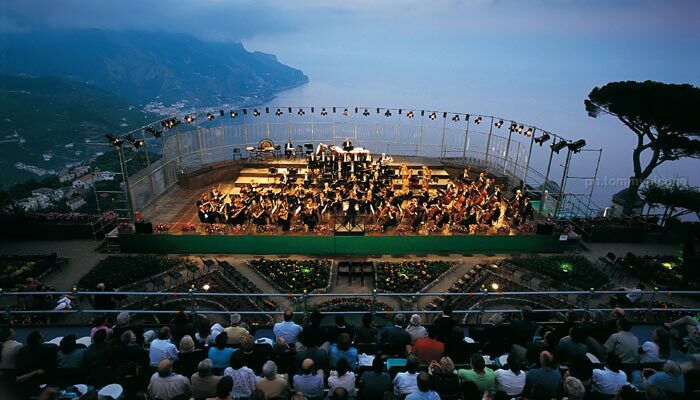 The Ravello Festival is a cultural happening yearly celebrated in Ravello. It includes a great number of appointments about classic music, literature and other arts and it gathers a lot of famous international artists. The Festival is dedicated to the composer Richard Wagner, who stayed here at the end of the XIV Century. On 26 and 27 of July Ravello celebrates Saint Pantaleone. Two days of religious celebrations, processions, parades, firework displays and music sessions in Duomo Square to celebrate its patron. 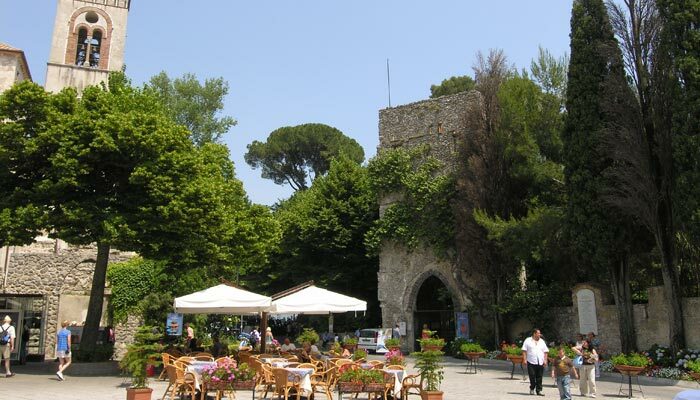 Hotel Torre Saracena welcomes you with its beautiful tours to Ravello on the Amalfi Coast! Contact now and book your stay!